Unlike the standard Leaf, the Nismo RC also features a bespoke carbon fibre monocoque chassis, with a kerb weight of 1219kg. 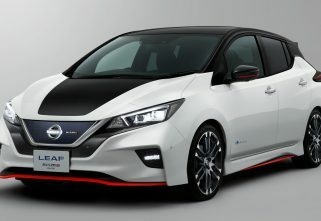 In 2011, Nissan grabbed our attention (sort of) with a race car concept primarily based on the first generation Leaf electric hatchback. More than a model that had a future in Nissan’s shed, the 2011-concept was a statement of purpose to highlight the potential of electric cars. This was evident from, the minimal 107bhp and 273Nm of torque that led us to more or less forget the car. Until now, when the Japanese automaker, reiterated the moniker in a meaner and racier gown. The new Race Car while, inheriting the same nameplate of Leaf Nismo RC, will be based on the second generation of the car. It packs double the torque and power than its conceptual predecessor. We are, however, not in shock as this moniker seems to be well planned for Nissan which is participating in the Formula E championships. The similarity in the name seems to have ended there as the mechanics on the new Leaf Nismo RC is nowhere similar to that of the Leaf. For instance, the race car concept packs an electric motor at each axle for a combined 326hp of power and 639Nm of torque, whereas the regular Leaf features a single electric motor up front with 147bhp and 318Nm. 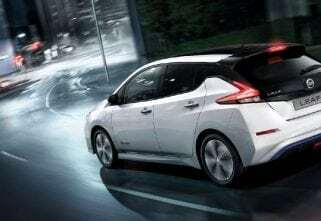 However, a few components like the battery and inverters have been borrowed from the standard Leaf. Unlike the standard Leaf, the Nismo RC also features a bespoke carbon fibre monocoque chassis. The car is divided into a three-piece silhouette with removable front and rear sections, fixed windows, LED headlights and taillights and an adjustable rear wing. The car scales its kerb weight at 1219kg. The car hits triple-digit speeds in 3.4 seconds. We learn that Nissan will be building six examples of the Leaf Nismo RC to be displayed across the world. 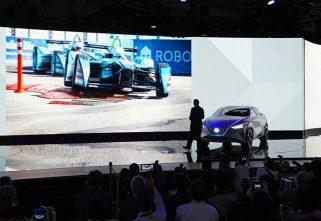 Some of which will also follow Nissan’s Formula E team and make demonstrations at various ePrix races.